Added speed and lighter weight make for a performance-minded Bimmer. The German gentlemen over at G-Power have been tuning BMWs since 1983 and their fluency in creating new aftermarket programs for Bimmers has become the stuff of legends. Already boasting a host of record-setting performance-minded German sports cars-come-supercars, their latest changes on the 1M Coupe seem almost mundane. They most certainly are not. Starting under the hood, the BMW 1M Coupe&apos;s 3.0-liter straight-six has been augmented greatly. G-Power has added their own supercharger, performed an ECU remap and affixed a 44lbs lighter-than-factory titanium exhaust system. Thanks to these changes, the 1M Coupe now claims outputs of 435 horsepower and 435 pound feet of torque. Compared to the regular outputs of 335hp and 332lb-ft, that is quite the accomplishment. It is even more powerful than the larger M3. 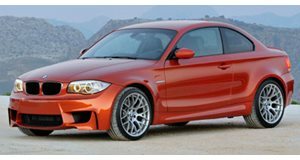 Thanks to the improved power figures, the BMW 1M Coupe now sprints from 0-62mph in 4.5 seconds and can reach a top speed of 186mph. Moving on to the Bimmer&apos;s exterior, G-Power hasn&apos;t done much to accentuate the 1M Coupe&apos;s style, however they have added a GM1-RS coilover suspension and bigger brakes (a ceramic brake kit is optional) in order to handle the extra power. It rides on a set of Silverstone 20-inch Silverstone wheels wrapped in Michelin Pilot Sport tires.